We would like to invite all newcomers and interested individuals to attend our meetings and activities. 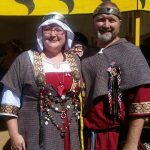 Come play with us and enjoy learning about and recreating the Middle Ages and Renaissance. 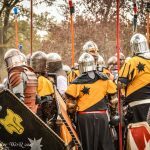 You do not have to have a costume or a medieval name picked out to start taking part in our pastime, nor do you need to be a member. For more information, contact our Seneschal or our Hospitaler to get started or ask questions. Their contact information is on the officer page. 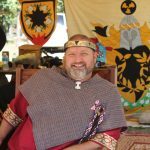 The Barony of Namron is a local branch of the Society for Creative Anachronism, Inc. (S.C.A. ), a not-for-profit organization. The Barony of Namron is centered out of Norman, Oklahoma, but it has members throughout central and southwest Oklahoma. 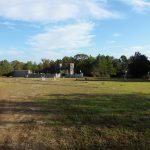 The S.C.A. 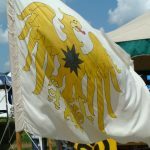 is an international educational organization dedicated to the study and recreation of the European Middle Ages, examining and enacting the crafts, sciences, arts, traditions, heraldry, literature, etc. of western civilization during the years between 600 AD and 1600 AD. 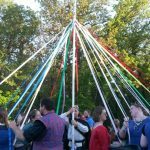 We have dance and cooking, costuming and armor-making, calligraphy and brewing, and … If they did it in the Middle Ages, the chances are that we have someone in the S.C.A. who does it too. Yes! We have fighting. 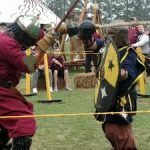 Our fighters attempt to (safely) recreate the fighting styles of the time period and one can find them battling it out with polearm and broadsword on one field while others go fight with rapiers on another field. 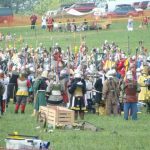 Members of the Society for Creative Anachronism tend to be interactive with their pursuits. You might find a cluster of people working on weaving trim while nearby two bards exchange notes on medieval music. 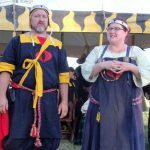 Brewers discuss beer, mead, and wine and demonstrate techniques. Fighters get together to make armor, cooks to swap recipes, and scribes to painted illuminated scrolls. The Society was started over fifty years ago in Berkeley, California. It quickly grew and spread from coast to coast, then beyond. There are currently over 30,000 official members of the Society, and the “Knowne World” is divided into 19 “kingdoms”. Each kingdom has a number of baronies, shires, and other local groups. 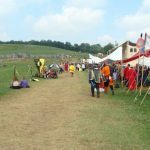 Each kingdom also holds a tournament at regular intervals to win the right to be its King and Queen by right of arms on a field of battle. The Kingdom of Ansteorra is composed of the modern day Oklahoma and most of Texas. 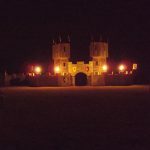 The Barony of Namron was formed over forty years ago by some people returning from their first Medieval Fair in Norman. It grew and became a barony a few months after Ansteorra became a Kingdom. Namron has continued to grow, and now has a Canton centered in Shawnee, Oklahoma, as well as a group forming in the Ada area. 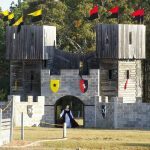 We recreate the Middle Ages, but not everything from that time. 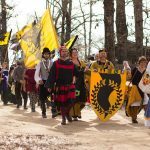 Participants in the SCA are considered to be of noble birth: we chose not to re-enact the slavery and the hardships of peasant life. We also do not re-enact the Plague, and we recognize that some of us need our modern bifocals and antibiotics. We do try to fit it all in to a more “period” setting, though, and part of the fun is trying to creatively hide the modern day items we take with us. 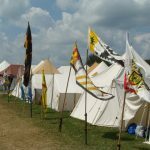 You can also learn much more about the Society for Creative Anachronism on the international website. 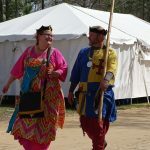 A good introduction can be found at http://www.sca.org/sca-intro.html.